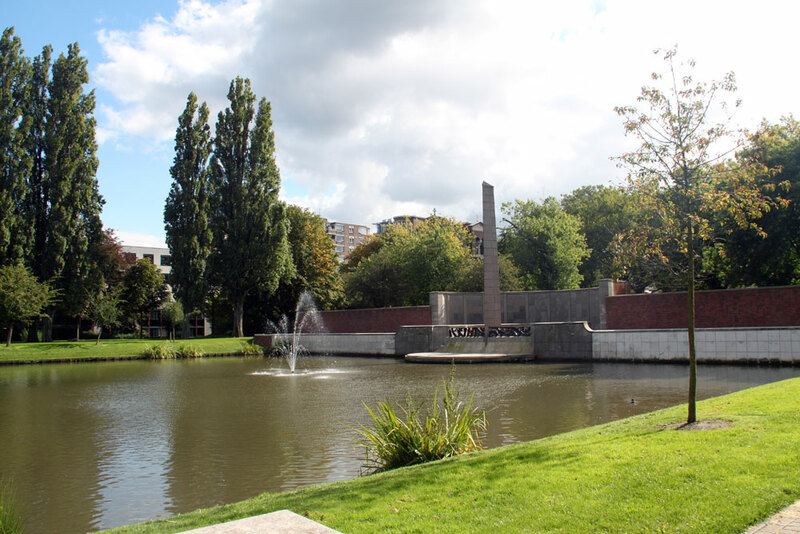 This park in Rotterdam is located behind the Museum Boijmans Van Beuningen and is an early example of a public urban park, designed by the architect Willem Gerrit Witteveen. At the south side of the pond a memorial was erected for Gerrit J. De Jongh, director of municipal works in Rotterdam from 1879-1910 and responsible for the development of both port and city. There are several sculptures in the park as well. 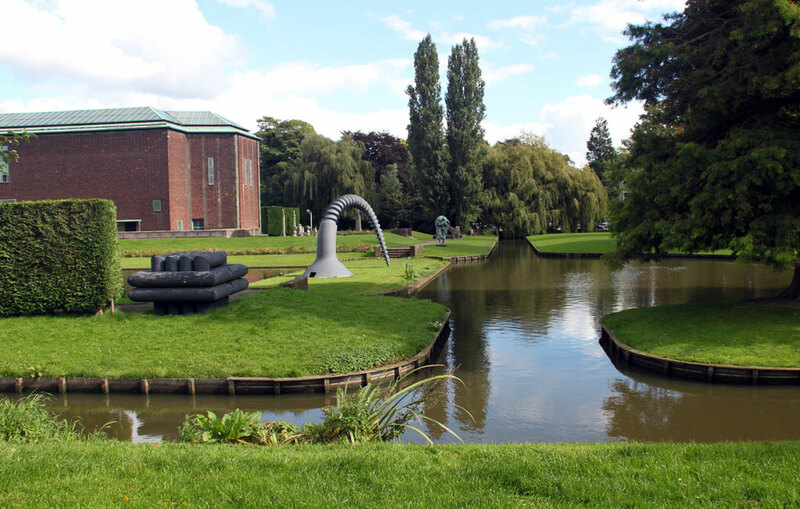 Nearby are several other museums: the Netherlands Architecture Institute (NAi), the Chabot Museum, the Kunsthal, and Villa Sonneveld. 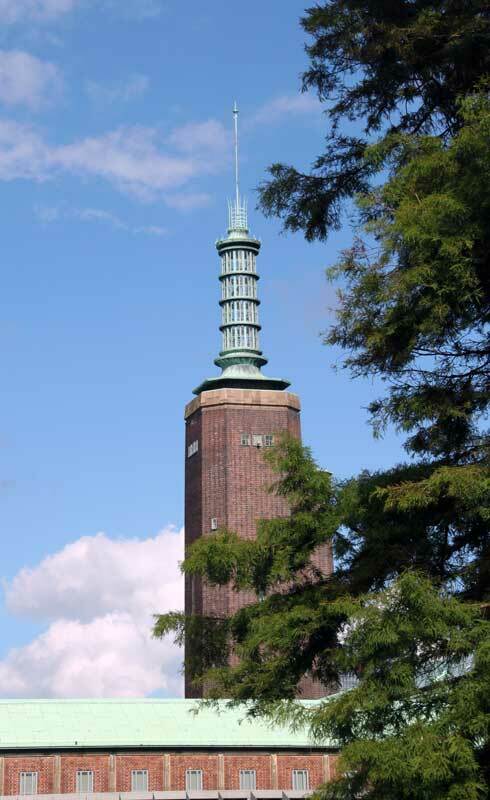 A 12 meter obelisk is part of the design. 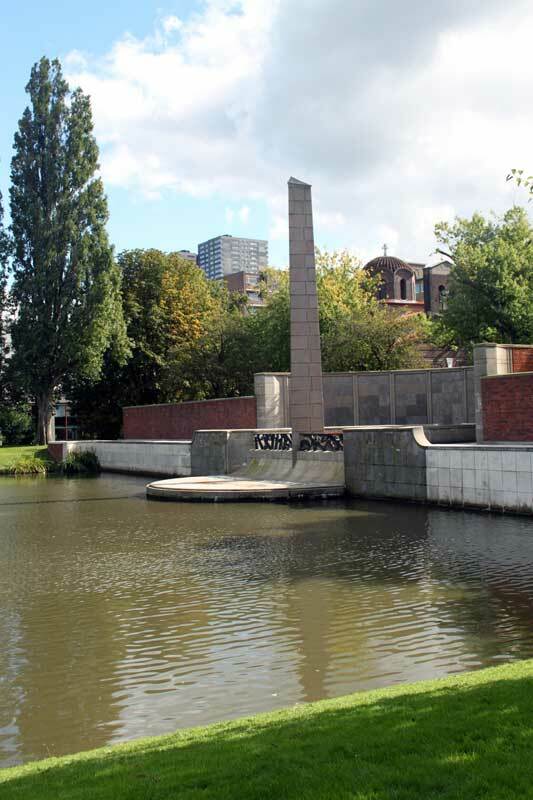 "The sculptor Leendert Bolle made a bronze plaque and bronze railings incorporating episodes from city life in De Jongh's day, as in a strip cartoon" (Guide to Rotterdam 94). Works Cited or Consulted: Groenendijk, Paul and Piet Vollaard. 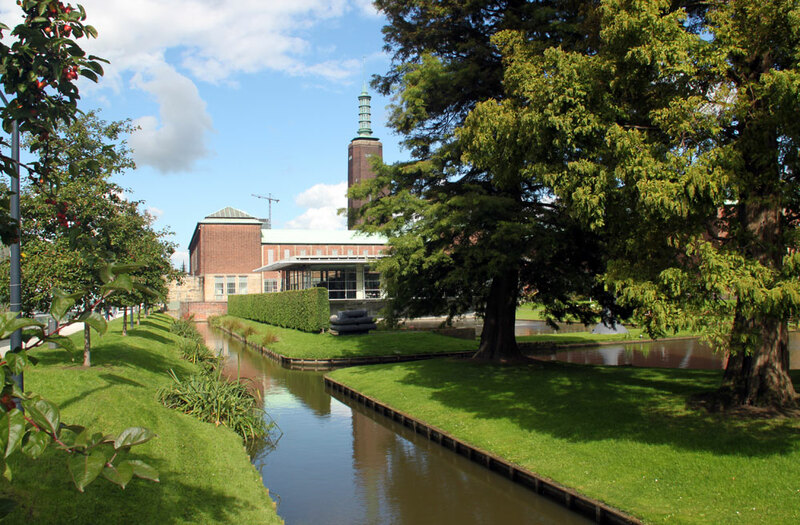 Architecture Guide to the Netherlands 1900-2000. Rotterdam: Uitgeverij, 2006. Groenendijk, Paul and Piet Vollaard. Architecture Guide to Rotterdam. Rotterdam: Uitgeverij, 2007. Groenendijk, Paul and Piet Vollaard. 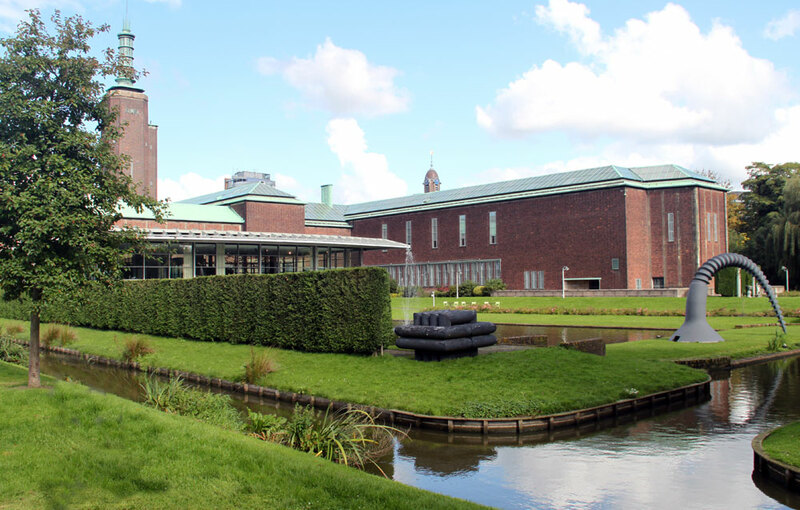 Guide to Contemporary Architecture in the Netherlands. Rotterdam: Uitgeverij, 2004. © 2016 Mary Ann Sullivan. I have photographed (on site) and manipulated all the images on these pages. Please feel free to use them for personal or educational purposes. They are not available for commercial purposes.